This month my garden news is not good. I am recording a few disasters. Heavy frosts have continued to damage the citrus trees, especially the limes. The top leaves are badly burnt. It is too soon to prune these back as more frosts could be on the way. The next cause of damage is the white cockatoo. This bird is the most annoying visitor to my garden. Cockies are vandals, hoodlums from the sky, descending on the garden in mobs, swooping down and causing havoc. They don’t eat the vegetables, they cut them in half- just for fun! 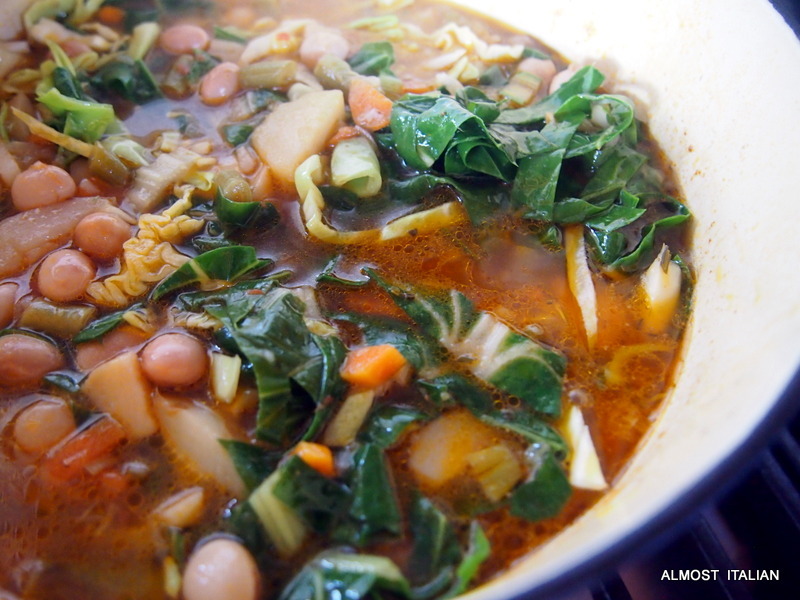 This particularly applies to tall-growing vegetables such as garlic, cavolo nero, and silverbeet. In the front garden, they took a particular dislike to the succulents this year, pulling them all out, leaf by leaf, as if to say ‘ we don’t like you, wrong colour, odd shape’. garlic patch smashed by cockatoos. The next annoyance- the rabbits. Its seems we have a few gaps in our fencing and so these little devils have heavily pruned my parsley and radicchio. They breed in the nearby gullies and are a continual problem. Harvest. Cavolo nero ( black kale) is now picked from one side of the plant (cockies stripped the other side) to make my favourite pasta dish. Silverbeet, coriander, and herbs are abundant. The broad beans are coming along nicely. On the bright side, these two calves, Dougie and O’Dannyboy were born in the last fortnight, adding a touch of Spring joy to our paddocks. They, and their mothers, provide our garden with manure. O’Dannyboy and Dougie, the Dexters. I think the time has come to build a netted cage over the whole veggie patch. Out damn cockies, out. Build some shelters or breaks to protect citrus before next winter. Sow plots of lettuce, spring onion, rugola. Prepare and enrich other beds for the big planting which will take place in early October. Collect more manure from the Dexter paddocks. I was just thinking how cute the cockatoo in the photo looked… but then read your note underneath! We have problems with pigeons eating pretty much anything green in the veggie patch early in the season. At least they do eat what they peck, the crop is still ruined but there is a purpose to their vandalism. 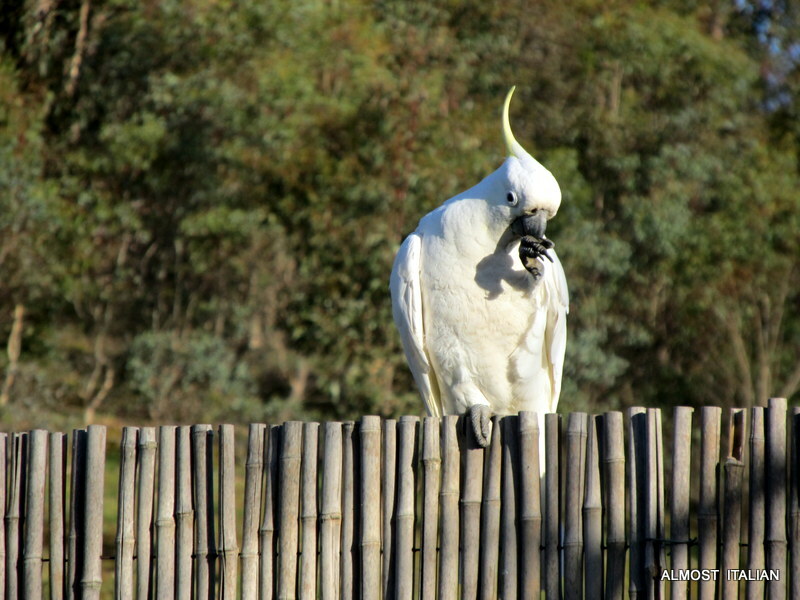 Hope you get on top of the pest problems soon – can the cockatoos be scared away? We string up old CDs that move in the wind and reflect the light. The CD rick works with most birds here but not the cockies. They fly in mobs and are very big and clever birds with long memories. They live to 40 years old in the wild ( 100 years in captivity) They are so smart. They have a guard for the flock. His job is to sit high in a tree and watch out for danger. Sometimes when they fly in, I feel like I am stuck in Alfred Hitchcock’s ‘The Birds’ movie. Have a listen to one of them. Just imagine a flock! Thanks for that Maya. That’s what the bastards sound like. The bird audio link is a handy preparation for our trip to the Flinders Ranges. Cockatoos are wee buggers, I love watching them in our valley but don’t quite feel the love when they eat my lemons. The calves are sweeties! We all have some love for cockatoos – in the distance. Buggers- that’s exactly what they are in the garden. We get a group come by us occasionally, they’ve never come into the garden thankfully! What a shame about the frosts, we’ve had a few but only a couple of those have been hard. Hope the garden comes right for you, it’s so frustrating when things seem to be against you. We have dexters too, although we haven’t bred our girls for the last couple of years. Ah, another Dexter fan. Aren’t they the best cows. Ours are such good little pets and lawnmowers. I can only imagine how annoying those cockies are! I have a similar problem with wild turkeys who just love our orchard. Wow, your citrus really copped a hammering … such a shame. Your pasta dish looks amazing! Love your pics too! Thanks Julie. I have been growing veggies for over thirty years and have never had such a ‘pesty’ year. The only other problem we confront is drought: in summer the absence of rain can be quite disturbing. Time to plan a covered garden. What beautiful calves, it must be delightful to have them arrive healthily to produce growth (in animals, as well as manure). The cockies can be painful, you really have your hands cut out. Here they will rip the citrus from the tree just for the seeds, them throw the rest away carelessly. Good luck with your netting. Such a huge garlic crop too, you are lucky to grow it so well (despite the pesky bird upheaval) you should still be able to reap some. 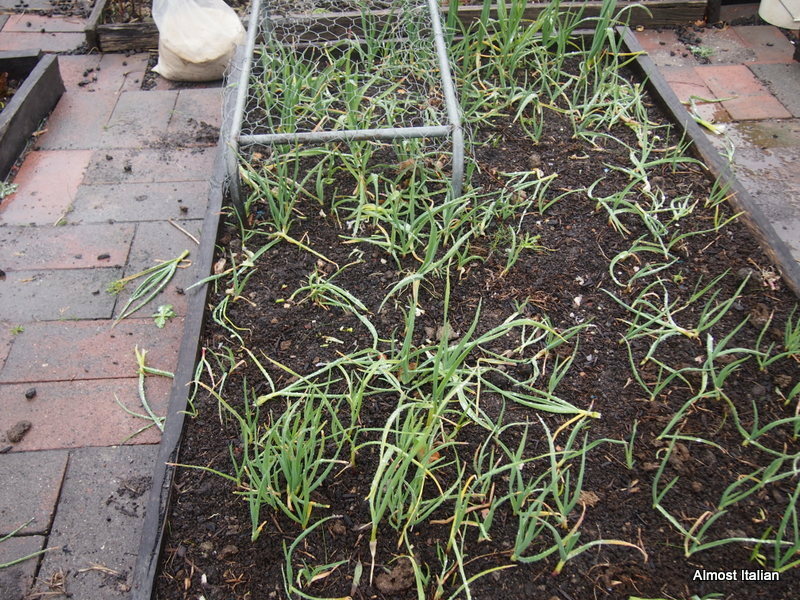 Yes, the garlic will regrow- at least most of the bulbs are still well buried. The calves are a delight- we were worried that we may have to sell them but our next door neighbour offered 30 acres of land for them. They are spared. Sorry to hear about your garden dilemmas. I hope the citrus revive once spring is firmly here. we’ve had quite a few little frosts this winter, but no huge damaging ones. still, i am like you – not pruning anything back yet because the frost risk is not over yet. we just have to try to turn a blind eye to the ugliness. i’m also lucky no cockies – how terribly destuctive for you. 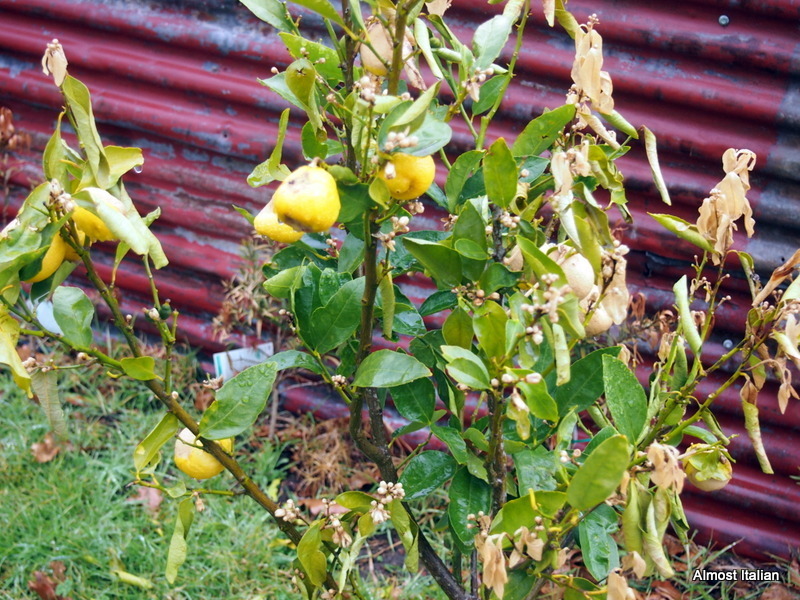 Oh yes, I’ve had some citrus get frost damage…it’s so sad…but I was able to save the others. Hoping this season brings you great harvests! Yes cockatoos are destructive, when I lived in the city I watch about 5 of them strip our neighbours plants. I tried to scare them off but they were not interested. They just came back until the job was done. Leaf matter all over the ground, devastating and to have that happen to your veggies. nooooooo. I hope you don’t get any more frosts this year and all your plants come back to life, citrus can be hardy at times. Thanks Lizzie. Your new patch looks fabulous- so flat and warm and well mulched.I was wondering about what natural predators you would have there. Rabbits and birds are our main pests, the fences keep out wallabies that are also extremely destructive. The joys of the bush! Oh my goodness Dougie and O’Dannyboy are adorable! I really feel for you trying to battle the pests. Touch wood, we are pretty lucky in that area and have very few. Have a great month. They are adorable little calves- I have to watch myself that I don’t call them babies!! Oh my. I will stop complaining about locusts eating things and kangaroos ripping them out. Those are small problems compared to yours! Actually, you probably have those problems on top of the others! Shivers. All the best to you and the baby Dexters! 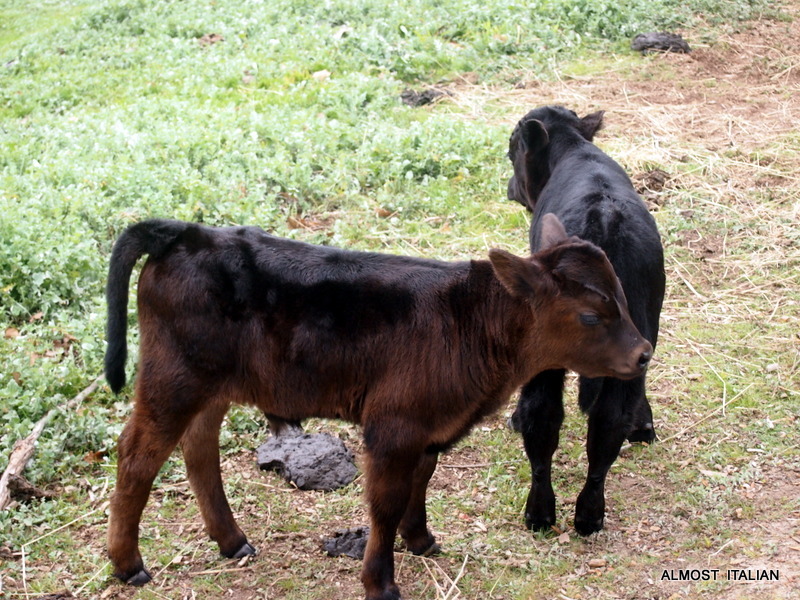 Ooh, those two calves are so, so cute! As for that darn cocky, well he needs to find a new feasting ground. The netted cage over the whole patch should fix him, but sounds like a lot of work! Good luck. Next Next post: In My Kitchen, September 2014.